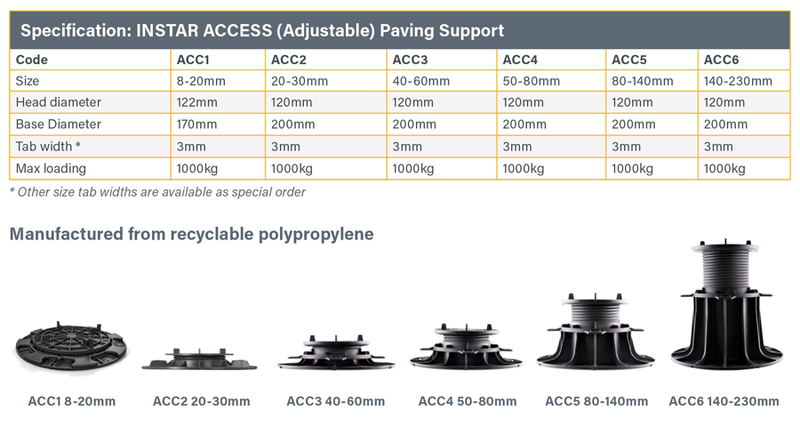 InStar Access (Adjustable) paving/decking supports are available in 6 sizes, starting from 8mm up to 230mm (greater height adjustment can be achieved by the use of extension pieces) Maximum height of 470mm. The range in height adjustment means that paved/ decked areas can be laid flat even when drainage slopes have been incorporated into the underlying substrate. Features include “Easy-screw” and “Click Off” proprietary systems for adjusting and maintaining the desired height. A rotating head piece, including a 4 spacer notched at right angles for easy installation close edges & in the corners (thickness: 3mm). - Alternatively: A head piece for use with timber decking comprising a flat base and vertical guide for joist fixing. 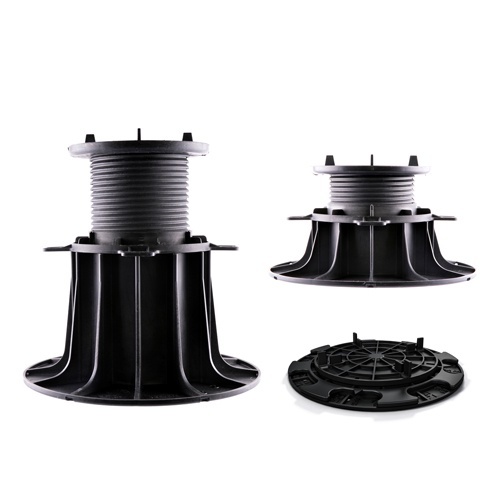 Equipped with a 200mm flange at the chamfered edge to prevent damage to the seal, with multi perforation for eliminating water retention (rot and mosquito resistant). Fully compatible with InStar Perimeter Pad, Extensions and Plinth Clip accessories.